It's no secret that Starbucks has been struggling to get U.S. customers to frequent its cafes more often. 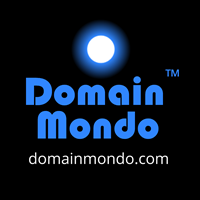 While sales have been positive, the number of customer visits continues to stagnate. Same-store sales, a key metric in the restaurant industry, have dwindled over the last 12 months as competition heated up and customers were uninspired by some of Starbucks' limited-time offerings. While comparable-store sales exceeded expectations in the quarter that ended Sept. 30, rising 4 percent, much of that was due Starbucks charging more for its lattes. In its 47-year history, Starbucks has transformed from a single coffee bean store in Seattle to a 30,000 cafe international coffee power house. But massive expansion hasn't come without growing pains. Under the leadership of Howard Schultz, Starbucks pursued a strategy of aggressive expansion in the late '80s and early '90s. By the time Starbucks went public in 1992, it had 165 stores, and four years later, Starbucks opened its 1,000th location, including international cafes in Japan and Singapore. Just two years later, Starbucks opened its 2,000th cafe. While unit expansion helped boost sales throughout the last two decades — Starbucks has had positive same-store sales growth since 2010 — it has spread itself too thin. With more than 14,000 locations in the United States alone today, Starbucks is regrouping and rethinking its expansion, and is expected to close 150 underperforming locations in 2019, three times the amount it typically does. Changing consumer preferences are also an issue which CEO Kevin Johnson has addressed with investors. In 2015, sales of Frappuccinos were 14 percent of Starbucks revenue. However, in the first half of 2018, Frappucino sales were down 3 percent — and accounted for only about 11 percent of the company's revenue. Frappuccino sales were also hurt by a lack of innovation said analysts. CNBC video above published Jan 10, 2019. Starbucks Q1 Fiscal Year 2019 Earnings LIVE Webcast January 24, 2019 5:00 pm EST. Listen to the webcast -- a replay of the webcast will be available on the Starbucks Investor Relations website (until end of day Friday, February 22, 2019) -- investor.starbucks.com (investor relations). Questions re: Q1 FY19 Starbucks $SBUX: top line revenue hit the consensus mark of $6.5B? Shift of prior FY19 guidance for global comparable store sales growth near the lower end of the 3% to 5% range? How is the UberEats pilot progressing? Impact in China from slowing GDP, trade tensions, and competitor Luckin Coffee? 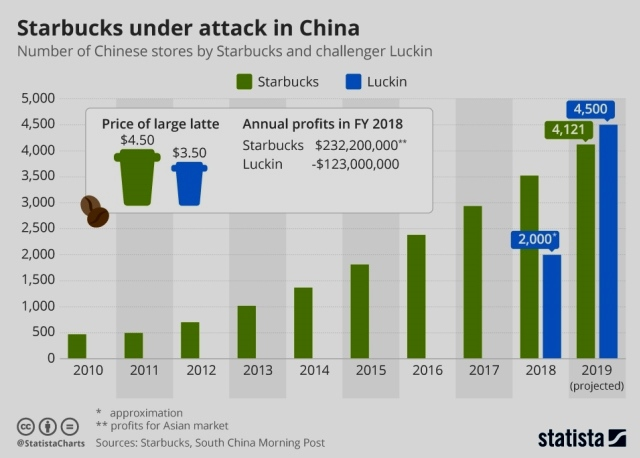 Starbucks has a 55% market share of China’s coffee market, however, it faces competition from McDonalds, Costa Coffee, Peets and Luckin, and hundreds of thousands of smaller operators.